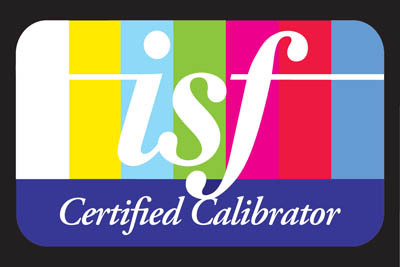 Cinema Rooms are able to offer all our clients professional THX / ISF calibration service. If you are investing in a new projector or display of any sort, bear in mind that the final link in the chain is calibration. The importance of this fundamental step is frequently misunderstood or even ignored, but without correct alignment, image fidelity or faithfulness to the original production is lost. Price is based on application offering a comprehensive THX / ISF calibration service. This achieves a vast improvement, by ensuring that the greyscale and associated user controls are optimally adjusted. You will experience the image as the director intended, because your screen will be calibrated to the same standards that were used in the video creation. Colours will be more natural and detail will be present that might otherwise have been lost. Most importantly, you will know that your television or projector is performing at its very best. These services can be applied to any type of display or projector including Plasma, LCD, LED and Front Projection systems. We will always endeavour to check, re adjust if necessary and advise on optimizing your connections with all of your equipment. Optimizing the Brightness, Contrast, Colour Control, Tint, Sharpness & Geometry. 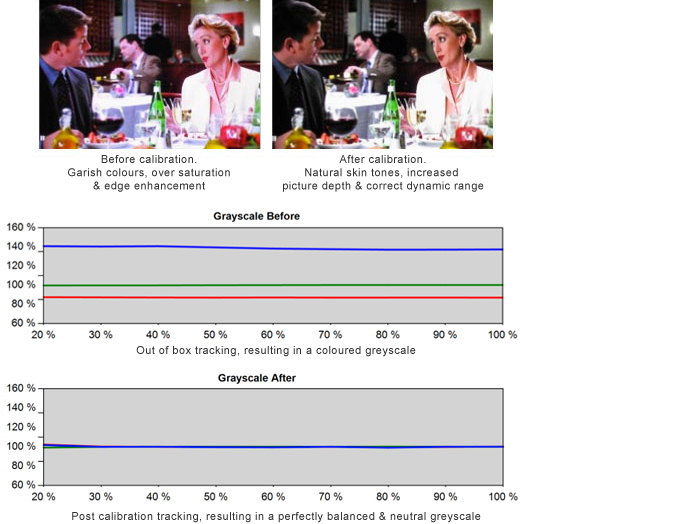 Greyscale calibrating to the D65 white point as standard, full CMS (Colour Management System) adjustment (if applicable) and a full report with before and after graphs of the display. The calibration will then be emailed to THX HQ in America and will be checked over by a highly trained THX Professional. You will also receive a THX Certified Plaque, Calibration Certificate and THX Certified Stickers.